In a couple weeks you’re gonna open up your windows and hear the sounds of wedding bells and Pomp and Circumstance ringing throughout your neighborhood. Lovebirds getting married. People graduating. It’s catering season, the most wonderful time of the year! Throw a Rascal House party. 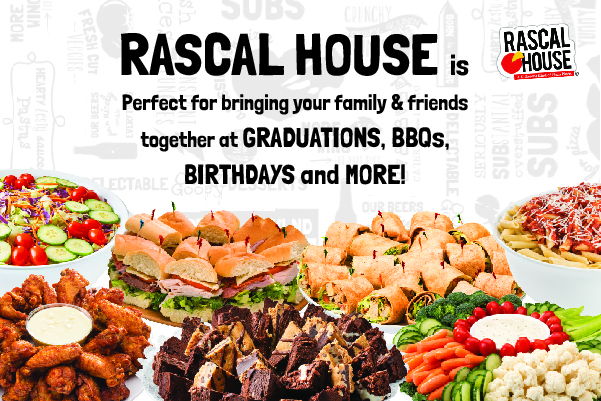 Then share your fun on Twitter or Instagram using #RascalHouse, or post on our Facebook page! « Could Rascal’s Jumbo Pretzel Sticks With Cheese Dip Mean An End To Growling Stomachs?